Every visitor is obliged to read these terms and conditions prior to entering the LIPNO SKI RESORT and to comply with their provisions. Entry to Lipno Ski Resort (hereinafter also referred to as the “Ski Resort”), which is operated by the company LIPNO SERVIS s.r.o. (i.e. is located on premises which are the property of, have been leased to, or are otherwise used by LIPNO SERVIS s.r.o. ), is at the visitor’s own risk. LIPNO SERVIS s.r.o. shall not be liable for damage to the property or health of visitors to Lipno Ski Resort, if it is caused by conduct which does not comply with applicable laws and the Lipno Ski Resort Terms and Conditions issued by LIPNO SERVIS s.r.o. 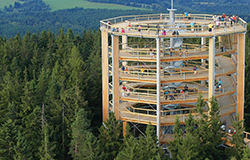 Visitors to the premises are aware that, as part of various events, the operator of Lipno Ski Resort may take photographs of visitors or make audio or visual recordings featuring visitors. Visitors consent to the capture of such photographs or audio or video recordings (hereinafter referred to as “recordings”) free of charge and also consent to the operator publishing such recordings featuring visitors (e.g. photographs) free of charge for the purposes of promoting its activities, however exclusively on the websites www.skiareallipno.cz, zima.lipnoservis.cz, www.lipno.info, www.activeparklipno.cz, www.lipnoservis.cz, www.stezkakorunamistromu.cz, www.campinglipno.cz and on the Facebook pages of Lipno Ski Resort (Skiareál Lipno), Active Park Lipno and the Lipno Modřín Camp Site (Kemp Modřín Lipno), or on printed information materials published by the operator and distributed to third parties for the above specified purpose. A list of information materials in which a recording may be published is available to view in the marketing department of Lipno Servis s.r.o. LIPNO EXPRESS 8:30 a.m. – 4:00 p.m. and 6:00 p.m. – 9:00 p.m. PROMENÁDNÍ 8:30 a.m. – 3:45 p.m. STŘECHA 8:30 a.m. – 4:00 p.m. Visitors riding the chairlifts must respect the Chairlift Terms of Transport, which are freely available outside the ticket office. Persons who fail to observe the Chairlift Terms of Transport shall be subject to proceedings in accordance with Czech law. Children shorter than 1.25 m (4 ft 1 in) must not ride means of transport unaccompanied. Accompanying persons must be capable of providing such children with the necessary assistance. Transporting groups of children may be subject to special provisions. Students wearing clothing properly marked with the name SKISCHOOL LIPNO have priority access to reserved means of transport. Ski slopes are open while chairlifts are in operation. An electronic map displaying current information on the operation of ski slopes, chairlifts and surface lifts can be can be found in the area of the ticket offices. Evening skiing is offered daily on slope No. 7 LIPNO EXPRESS from 6:00 – 9:00 p.m. In accordance with Section 37 of the above-mentioned Act, the Ministry of Transport and Communications declared Decree No.175/2000 Coll., on transport rules for public rail and road passenger transport (hereinafter referred to as the “transport rules”). LIPNO SERVIS s.r.o. declared its own Terms and Conditions of Carriage with effect from 05 December 2008 as the Terms and Conditions of Carriage for Chairlifts and Other Means of Transport in the Lipno Ski Resort. Pricing is governed by the applicable price assessment of the Ministry of Finance of the Czech Republic. Transport is carried out on the basis of a contract between the operator and the passenger. The contract is expressed in the form of a ticket. The Terms and Conditions of Carriage are an integral part of the contract and the passenger is obliged to comply with them. By purchasing a ticket the passenger undertakes to respect all provisions of the Chairlift Terms and Conditions of Carriage of LIPNO SERVIS s.r.o. These are applicable from the moment of boarding to the moment of alighting from a means of transport. Tickets are sold at the chairlift ticket office and passengers are obliged to submit them for inspection at any time during transportation if requested to do so by an authorised and properly designated chairlift operator, or in areas around the chairlifts marked as accessible to the public with a valid ticket. A ticket shall not be valid: if the passenger fails to comply with the conditions specified in the CL TCC it is damaged or has been altered to such an extent that the necessary information for verifying its correct usage is not visible the information on the ticket does not correspond to the reality, it has been altered without authorisation, is used by an unauthorised person, or contravenes the valid Fare Price List. UPON ASCERTAINING SUCH A FACT, AN AUTHORISED PERSON SHALL CANCEL THE TICKET WITHOUT REFUNDING THE FARE AND SHALL EXPEL THE PASSENGER FROM THE MEANS OF TRANSPORT! A refund shall not be provided for lost or stolen tickets, nor shall a duplicate ticket be issued. The ticket is valid according to the type of fare on the day indicated on the ticket. Persons with reduced mobility requiring special assistance or the use of special means of transport due to their disability, must consent to the operator’s transport provisions. Passengers shall inform a chairlift operator of this fact without delay prior to using the transport so that the operator may slow down or stop the chairlift. Smoking is strictly prohibited while riding a chairlift. Children shorter than 1.25 m (4 ft 1 in) must not ride means of transport unaccompanied. Accompanying persons must be capable of providing such children with the necessary assistance. Transporting groups of children may be subject to special provisions. Passengers may only enter the boarding area when operators are present. Prior to boarding, passengers must remove their hands from their ski pole straps, but must keep hold of their poles. Passengers who are unable to board a chairlift properly must not attempt to hold onto the seat, but must let it go immediately. The opening and closing of safety gates is governed by signs located in the area of the chairlifts. Each passenger must pay attention to their fellow passengers on the same seat. It is prohibited to jump off the seats, even if the chairlift stops for a prolonged period. Before exiting the chairlift, passengers must ensure that they are not fastened to the seat. Passengers who do not exit the chairlift at an exit point must remain in their seats and await the instructions of an operating employee. If expelled from transport, passengers are obliged to show their personal data to ensure their rights. If a passenger fails to comply with this obligation, the police of the Czech Republic may be called and this may be considered an offence pursuant to Act No. 200/1990 Coll., on offences, as amended. The presentation of personal data in cases specified in these Terms and Conditions does not contravene Act No. 101/2000 Coll., on the protection of personal data, as it is not intended for processing and gathering information, but rather its aim is to ensure rights. Any potential complaints, notifications or suggestions may be submitted to the chairlift head or deputy head at the chairlift ticket office by way of a written entry in the Requests and Complaints Book, which is available at the chairlift ticket office. Complaints will be handled by LIPNO SERVIS s.r.o. within 30 days and the complainant will be informed of the outcome of the investigation in writing. A valid timetable will be published for all seasons, in particular for summer and winter operation. This timetable will be posted at all stations. In the case of adverse weather conditions or excessively high wind speeds, in the interest of ensuring the safety of passengers, the operator is obliged to reduce the carrying capacity of means of transport or to cancel transport without refunding the fare. A refund of fares, or a proportionate part thereof, shall be provided in the event of a technical breakdown of more than 50% of the means of transport of LIPNO SERVIS s.r.o., lasting longer than two hours. Reimbursement is provided in the form of a newly issued ticket corresponding to the earlier purchased ticket on the day of a breakdown. 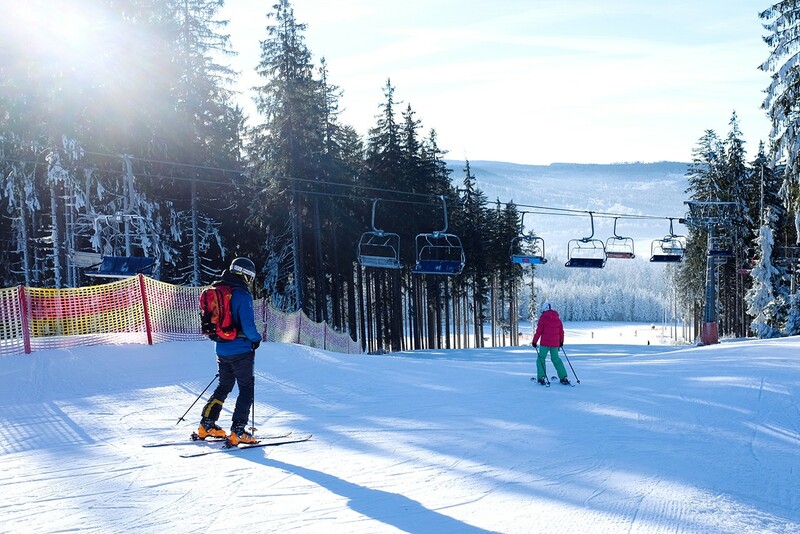 In winter, the chairlifts “LIPNO EXPRESS”, “PROMENÁDNÍ” and “STŘECHA” are designated for one-way public transport during daytime hours. In the case of the track “LIPNO EXPRESS”, (stations “LIPNO” and “VYHLÍDKA”), evening service also runs in winter. 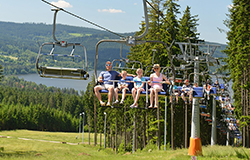 In summer, the chairlifts “LIPNO EXPRESS” and “PROMENÁDNÍ” are designated for traffic in both directions during daytime hours. 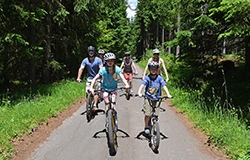 In summer on the chairlifts “LIPNO EXPRESS” (station “LIPNO”) and “PROMENÁDNÍ” (station “KYSELOV”), every passenger with a valid chairlift ticket may transport one bicycle as luggage free of charge on the seat with the help of chairlift employees. Only two passengers may ride on a seat carrying a bicycle. These Terms and Conditions do not apply to the training grounds FOX PARK and BAMBINI PARK. Consumers may use the online dispute resolution platform established by the European Commission at the address ec.europa.eu/consumers/odr/.